Sea Kayaking on Waiheke Island is the very best way to explore the stunning coastline and appreciate the island's beauty. Now we have a three day tour to appreciate every thing this island has to offer. 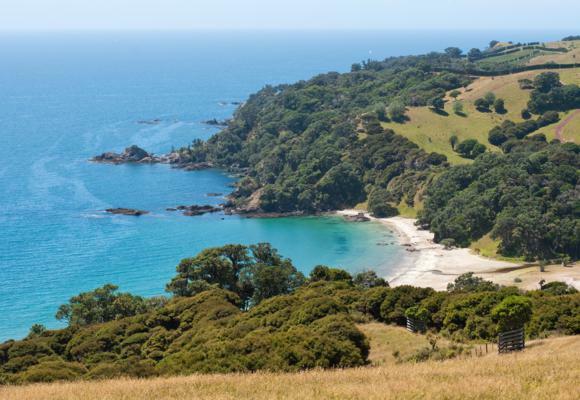 Waiheke Island is the jewel in Auckland's Hauraki Gulf. Home to historic sites, wildlife and diverse habitats, the island is an important part of New Zealand’s landscape. 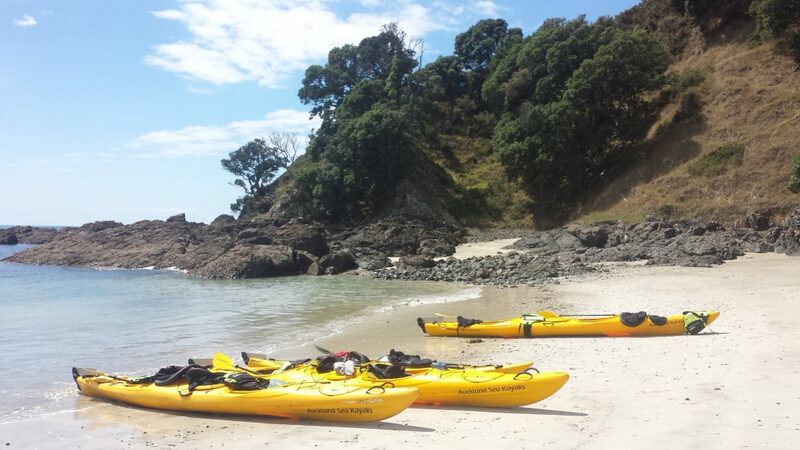 Waiheke is the ultimate island retreat and sea kayaking is the best way to escape and unwind. Watching the sunset while drinking Waiheke locally cultivated wine from our camp site at Whakanewha Bay. Day 1. Paddle from Onetangi to Huse Bay. 17.6km. Catch the ferry from downtown Auckland where your guide will meet you at Matiatia ferry terminal. From here we are transported to Onetangi Beach where we pack the kayaks for the next three days. 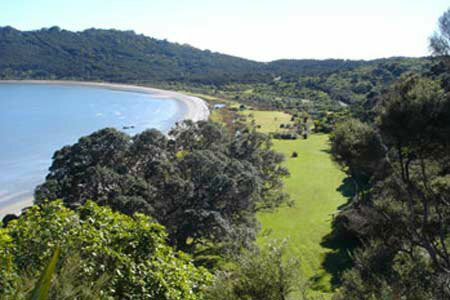 Onetangi is a stunning place to start our adventure with 1,8km of white sand beach. We paddle east and have lunch in Cactus bay which is considered by Waihekeans as the island’s best beach. After lunch we round Thumb point which is the most challenging section of the circumnavigation before heading south and rounding Kauri Point into the sheltered waters of Man O’ War Bay and onto our campsite. After breaking down camp we paddle the waters between Pakatoa, Rotoroa and Ponui Island before rounding the southern tip of Waiheke at Passage rock. This is a stunning and generally sheltered section of water with many local conservation projects underway. We have the opportunity to paddle past Te Matuku Bay oysters before heading to our camp spot at Waiheke’s only regional park at Whakanewha. We paddle to the island’s westernmost tip and around Te Roreomaiaea point. Church Bay is a stunning place for lunch before crossing Matiatia Bay, the island's busiest access point. The last section of the paddle is more populated with the last few kilometers passing by some of the island's most popular beaches, Oneroa, Palm Beach and onto Onetangi. Notes on itinerary. Although we do our very best to adhere to the schedule listed above, this itinerary is subject to change for numerous reasons beyond our control including weather and terrain conditions. One glass of wine is included with evening meals and you are welcome to bring extra. Price: Tour price $715 per person all inclusive. Transport to Matiatia is not included in the tour price.